While some people grumble and complain about tax season, it is actually an excellent time of the year. 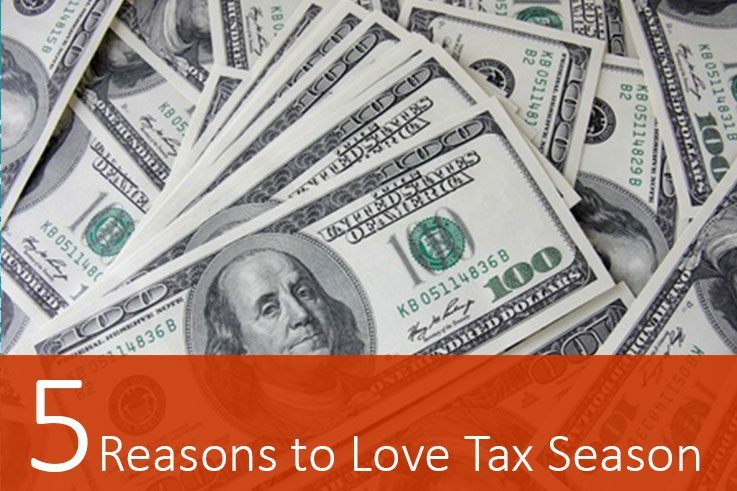 There are tons of reasons to get excited about going into tax season optimistcally. From over-payments to tax credits, a lot of people get a surprise when they do their taxes. Not only are they all paid up, but they actually get a refund. That refund helps people turn their finances around and buy themselves something special. A lot of people stress out all year long, wondering where they stand financially. Most people think they are worse off than they are. Tax season puts those questions to bed once and for all. Once you look at that prepared tax return, you know your exact financial position. Then, you know if you need to put your nose to the grindstone or if you have some breathing room. Some people own money when they do their taxes, but that can be a blessing as well. When you owe money, you know you need to make an adjustment to the way you pay taxes. You might require your employer to hold out more taxes, or you may need to increase your estimated tax payments. Now that you know what you need to do, you can fix the problem so you won’t owe taxes next year. Tax credits change from one year to the next, and both businesses and individuals can benefit from these changes. While it can be hard to keep up with the changes throughout the year, it is a cinch to find out exactly what is going on during tax season. Many taxpayers discover credits they missed out on that they can make adjustments for in the following year. This puts them in a great position to get a big refund the next year. Tax season is a great time to finally get organized. A lot of taxpayers feel nervous because their bookkeeping skills leave a lot to be desired, but they can gather everything up and organize it during tax season. Then, they can jump into the new fiscal year organized and ready to go. This takes a lot of the stress off their shoulders and makes the following tax season even easier. Get even more excited about tax season by having Larry L. Bertsch, CPA help. This Las Vegas firm works hard to ensure that businesses and individuals get all of the tax credits available, so they have a favorable tax season. Also, Larry L. Bertsch, CPA offers IRS tax audit representation, so people do not have to worry when they go to this firm.